It’s funny how a thing can be so hard to let go of. Especially a thing that cost $5. 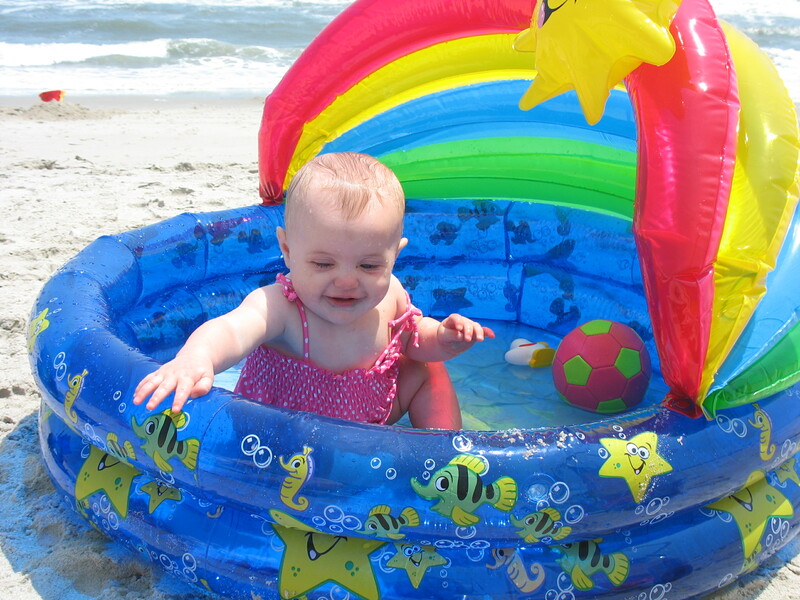 But back in 2008, we bought this tiny rainbow pool, mainly to contain a very active baby on the beach. It worked great. It made through another winter and came back for summer 2010…though it appears that Taylor’s clothes did not come back. It even made it through the birth of a second child. This was the week we brought Caleb home. 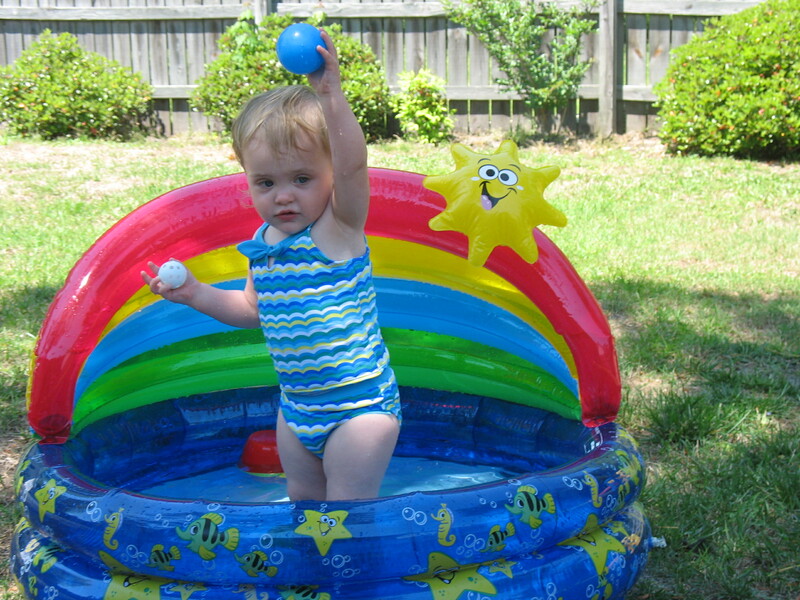 Taylor had certainly outgrown the pool by this point, but at least it’s still cold and wet. And then again for 2011 – though it did need a good bleaching. Unfortunately, both kids didn’t fit in it at the same time. 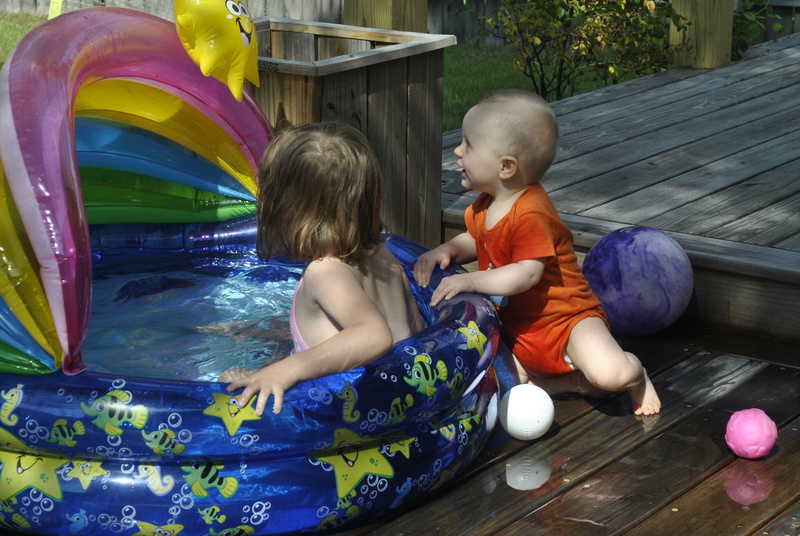 Then after another summer of one-at-a-time fun, the pool sprung a leak. So last week we deflated it one last time and threw it away. And I was more than a little bit sad. We had some good times, rainbow pool, you will be missed. 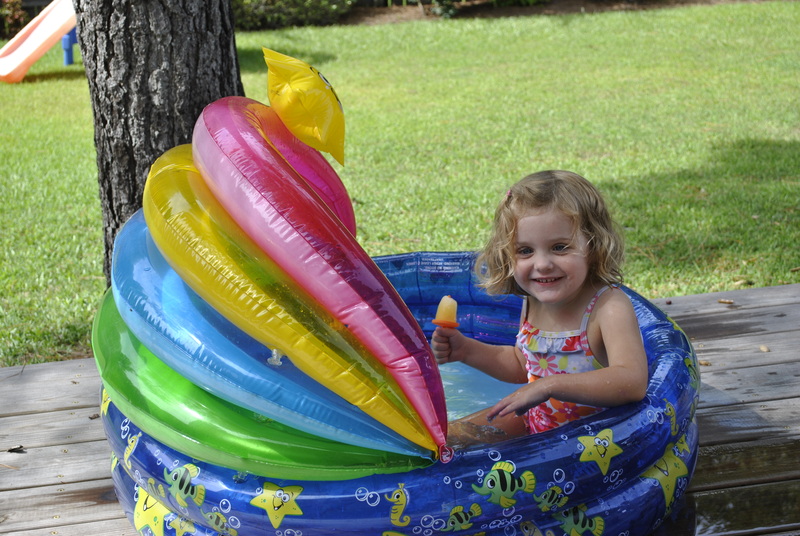 Now is the time to buy pools! You can get a good deal on an upgrade 🙂 Most are 40-50% off. Don’t wait until next Summer when it starts to get hot again! 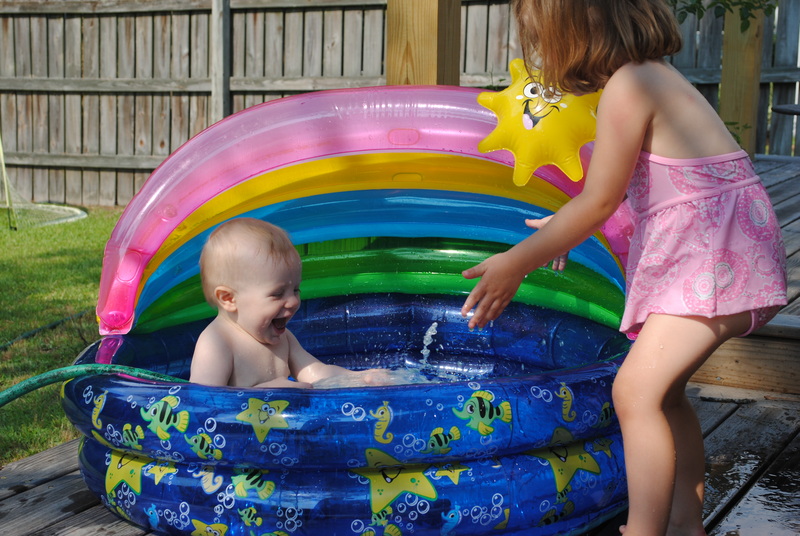 We did buy a pool last weekend that is big enough for both of them – it was on sale! I should have gotten a picture of them both in it yesterday. 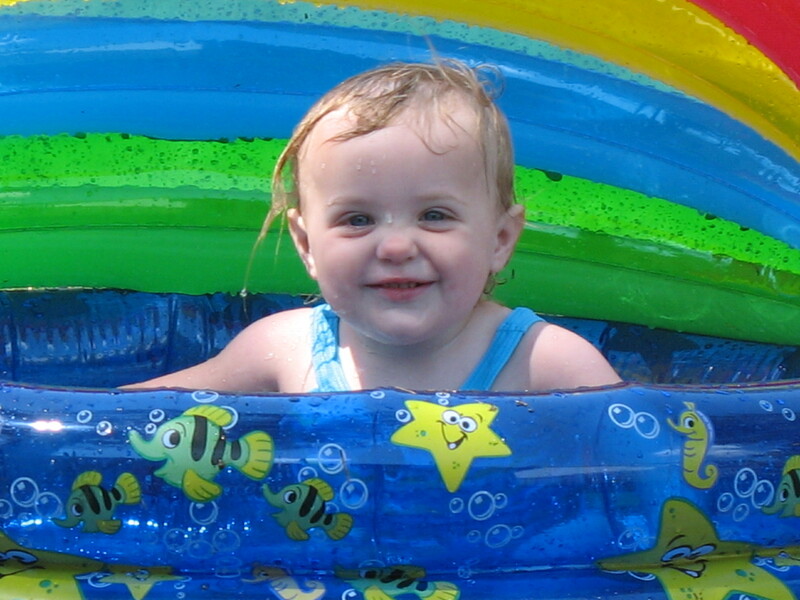 I am sure there will be just as many memories with the new pool! Only drag about a bigger pool is that it takes longer to fill up! !